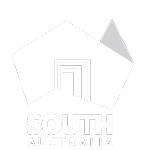 Vinehealth Australia makes submissions intermittently to causes it feels strongly about in order to influence strategic change in biosecurity management either federally or within South Australia. In late 2015, Australian agriculture ministers agreed to an independent review of the 2012 IGAB to consider the implementation and effectiveness of the IGAB and its schedules, and to assess the capacity of the national biosecurity system. Following stakeholder engagement, a draft paper entitled ‘Intergovernmental Agreement on Biosecurity Review Draft Report December 2016’ was released recommending system-wide improvements needed in the short, medium and long term. Click here for Vinehealth Australia’s submission to the IGAB review. Click here for the final report delivered from this IGAB review.